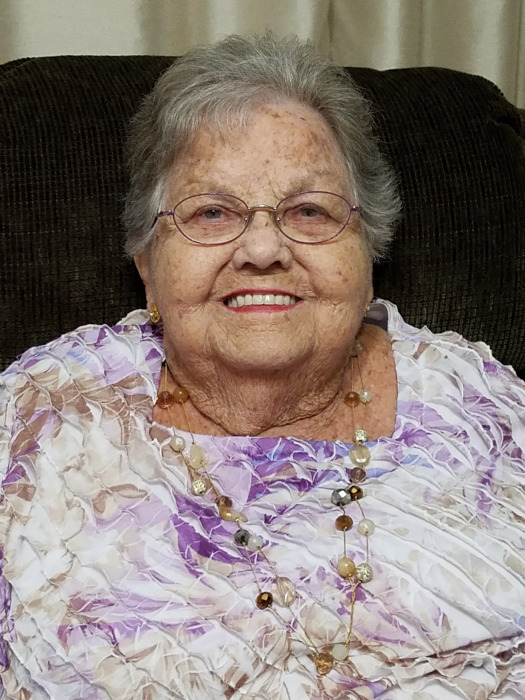 Lois Mae Westenskow passed away peacefully at her home on April 11, 2018 surrounded by her family. Lois was born in Scipio, Utah on April 1, 1928; and she moved to Mayfield, Utah in a horse drawn wagon when she was six. She had recently celebrated her 90th birthday with many family and friends. She was the seventh of eight children born to Henry and Anna Willden. She married Don Westenskow in 1948, and their marriage was later solemnized in the Manti Temple. Together they had six children; three boys, followed by three girls. Lois enjoyed camping with her family; and spent many summer weekends at Fish Lake, Rockport Lake, Yuba Reservoir, or her family home in Mayfield. She also enjoyed watching the Utah Jazz, and rarely missed a game. She was a talented seamstress, sewing quilts, wedding dresses, blessing dresses; and she even created a blessing tuxedo. Lois was an active member of the LDS Church. She held many stake leadership positions; and she held callings in every auxiliary in the ward, but her heart was always in the primary. Lois was very proud to be the last of her siblings to pass away. She is survived by her children: Alan (Linda) Westenskow, Carl (Denise) Westenskow, Kathryn (Brad) Brown, and Alisa Westenskow; 10 grandchildren, and 18 great-grandchildren. She was preceded in death by her parents, sisters (Dorothy, Orthella, Dellas, Olga, and Marianna), brothers (Ernest and Mike), husband (Don), son (David), daughter (Denise), granddaughter (Shantell), and grandson (Devin). The family would like to thank the wonderful staff at Summit Hospice Care, especially Becca Brough (her great-niece/nurse), Janice (CNA), Brecklin (nurse), Shontelle (CNA), and Brandon Goldsberry (physical therapist). Funeral services will be held Monday, April 16, 2018 at 11 a.m. at the Layton Utah Stake Center, 60 W. Gordon Ave, Layton, Utah. Friends may visit family Sunday from 6 to 8 p.m. at Lindquist’s Layton Mortuary, 1867 No. Fairfield Road, Layton and from 9:30 to 10:30 a.m. at the church.